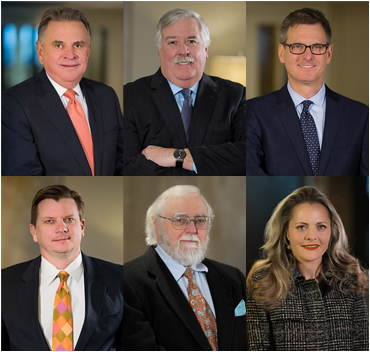 At Secrest Hill Butler & Secrest, our attorneys have a wealth of knowledge and experience based on more than 25 years of insurance defense litigation. We are prepared to take on any malpractice lawsuit, no matter how complex. Malpractice accusations are a common occurrence in certain professions. At Secrest Hill Butler & Secrest, we understand that allegations of professional malpractice can threaten your livelihood and reputation. Our attorneys provide aggressive representation to professionals who are facing malpractice claims in Tulsa and throughout Oklahoma. When a professional is sued for malpractice, insurers usually appoint an attorney to defend the professional. At Secrest Hill Butler & Secrest we work closely with insurers to effectively defend our clients. A professional services malpractice lawsuit is based on an allegation that a professional negligently performed services or performed services below professional standards. We represent physicians, dentists, attorneys, accountants, engineers, architects, realtors, and insurance agencies in malpractice and negligence claims. Since its founding in 1984, Secrest Hill Butler & Secrest has developed a reputation for successful medical and dental malpractice defense. Our attorneys represent medical professionals, such as doctors, nurses and dentists, and business entities, such as hospitals, nursing homes, and long-term-care facilities, in malpractice lawsuits. We also represent corporate directors and officers. If you are an insurer seeking defense representation from a team of established Tulsa malpractice lawyers, or a corporation, professional or local business with litigation threatening, contact our law firm online or call 918-494-5905. One of our attorneys would be happy to speak with you. Our success in defending engineers and architects in malpractice actions stems from our experience in construction law, as well as our ability to stay abreast of industry updates, insurance-related news and recent legal developments.